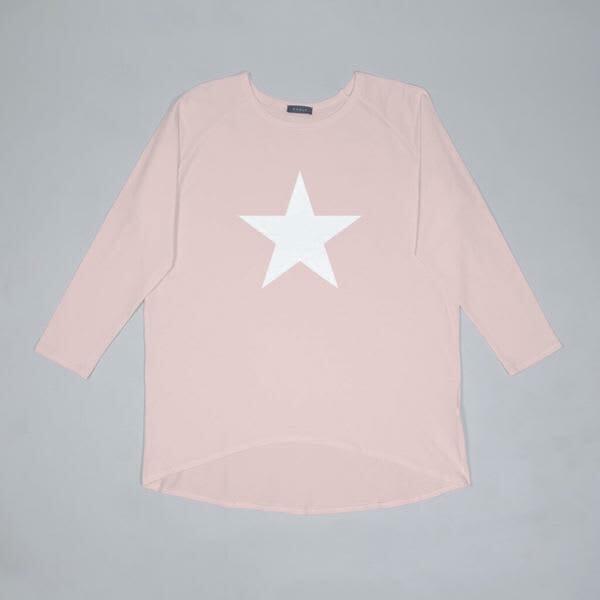 Soft jersey top with giant white star. This relaxed, lounging style has long sleeves and a scooped front hem. Made in the U.K.
Camperdown Lane in Hereford,, United Kingdom.